Whether or not Charlotte Brontë’s Jane Eyre is a feminist work has been widely debated among critics for decades. Some argue that the novel speaks more about religion and romance than it does of female empowerment; however, this is not a wholly accurate judgment. The work can, in fact, be read as a feminist piece from beginning to end. The main character, Jane, asserts herself from the first pages as an independent woman (girl), unwilling to rely on or relent to any outside force. Though a child when the novel starts, Jane follows her own intuition and instinct rather than submitting to the oppressive statutes of her family and educators. Later, when Jane becomes a young woman and is faced with overbearing male influences, she again asserts her individuality by demanding to live according to her own necessity. In the end, and most importantly, Brontë stresses the significance of choice to the feminist identity when she allows Jane to go back to Rochester. Jane eventually chooses to marry the man she once left, and chooses to live out the remainder of her life in seclusion; these choices, and the terms of that seclusion, are what prove Jane’s feminism. Early on, Jane is recognizable as someone atypical to the young ladies of the nineteenth century. Immediately in the first chapter, Jane’s aunt, Mrs. Reed, describes Jane as a “caviller,” stating that “there is something truly forbidding in a child taking up her elders in [such a] manner.” A young woman questioning or speaking out of turn to an elder is shocking, especially one in Jane’s situation, where she is essentially a guest in her aunt’s house. Also, she later thinks, “[r]esolve . . . instigated some strange expedient to achieve escape from insupportable oppression – as running away, or, . . . letting myself die” (Chapter 1). Neither actions, having to suppress backlash or considering flight, would have been considered possible in a young lady, especially a child of no means who is in the “kind” care of a relative. Furthermore, even as a child, Jane considers herself an equal to all around her. Bessie brings this to her attention, condemning it, when she says, “you ought not to think yourself on an equality with the Misses Reed and Master Reed” (Chapter 1). However, when Jane asserts herself in a “more frank and fearless” action than she had ever before displayed, Bessie is actually pleased (38). At that point, Bessie tells Jane that she is scolded because she is “a queer, frightened, shy, little thing” who must “be bolder” (39). 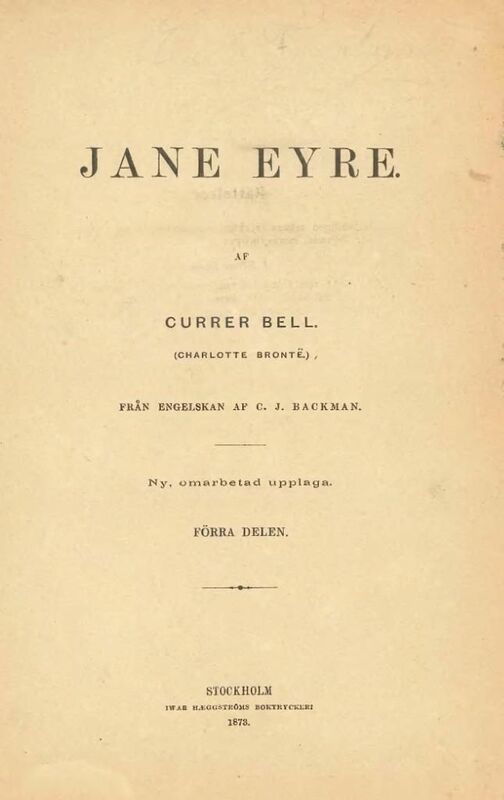 Thus, from the very start of the novel, Jane Eyre is presented as a curious girl, outspoken and conscious of the need to improve her situation in life, though it is required of her by society to simply acquiesce. Jane’s individuality and feminine strength is again demonstrated at the Lowood Institution for girls. She does her best to convince her only friend, Helen Burns, to stand up for herself. Helen, representing the acceptable female character of the time, waves Jane’s ideas aside, instructing her that she, Jane, need only study the Bible more, and be more compliant to those of a higher social status than she. When Helen says, “it would be your duty to bear [being flogged], if you could not avoid it: it is weak and silly to say you cannot bear what it is your fate to be required to bear,” Jane is appalled, which foreshadows and demonstrates that her character will not be “fated” to subservience (Chapter 6). Another example of Jane’s courage and individualism is shown when Brocklehurst makes false claims about her and forces her to sit in shame before all her teachers and classmates. Jane bears it, then tells the truth to Miss Temple rather than hold her tongue as would be expected of a child and student. Finally, at the end of her stay at Lowood, after Jane has been a teacher there for two years, she takes it upon herself to find a job, to better her situation, crying, “I [desire] liberty; for liberty I [gasp]; for liberty I [utter] a prayer” (Chapter 10). She does not ask for any man’s assistance, nor does she allow the school to find a place for her. This self-sufficient act seems natural to Jane’s character; however, it would not be thought of as natural for a woman of the time, as demonstrated by Jane’s need to keep her plan secret from the masters of the school. At this point, Jane’s individuality has advanced from the eager, rash outbursts of her childhood. She has learned to keep true to herself and her ideals while maintaining a level of sophistication and piety, thus creating a more positive notion of feminine individuality than was displayed in her youth. The next obstacles for Jane’s feminist individuality come in the form of two male suitors, Rochester and St John. In Rochester, Jane finds her true love, and had she been any less of a feminist person, any less demanding of her equality in all relationships, she would have married him when he first asked. However, when Jane realizes that Rochester is already married, though his first wife is insane and essentially irrelevant, she immediately flees from the situation. Unlike the stereotypical female character of the time, who might be expected to care only about being a good wife and servant to her husband, Jane stands firm: “Whenever I marry, I am resolved my husband shall not be a rival, but a foil to me. I will suffer no competitor near the throne; I shall exact an undivided homage” (Chapter 17). When she is asked again to be married, this time by St John, her cousin, she again intends to accept. Yet, she discovers that he, too, would be choosing her second, this time not to another wife, but to his missionary calling. She ponders his proposal for a long time before concluding, “If I join St. John, I abandon half myself.” Jane then decides that she cannot go to India unless she “may go free” (Chapter 34). 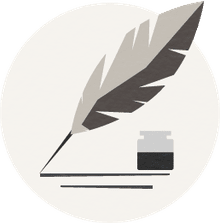 These musings pronounce an ideal that a woman’s interest in marriage should be just as equal as her husband’s, and that her interests must be treated with just as much respect. At the end of the novel, Jane returns to Rochester, her true love, and takes residence in the private Ferndean. Some critics argue that both the marriage to Rochester and the acceptance of a life withdrawn from the world overturn all efforts made on Jane’s part to assert her individuality and independence. It should be noted, however, that Jane only goes back to Rochester when the obstacles which create inequality between the two have been eliminated. The death of Rochester’s first wife allows Jane to be the first and only female priority in his life. It also allows for the marriage that Jane feels she deserves, a marriage of equals. Indeed, the balance has even shifted in Jane’s favor at the end, due to her inheritance and Rochester’s loss of estate. Jane tells Rochester, “I am independent, as well as rich: I am my own mistress,” and relates that, if he will not have her, she can build her own home and he may visit her when he wishes (Chapter 37). Thus, she becomes empowered and an otherwise impossible equality is established. Further, the seclusion in which Jane finds herself is not a burden to her; rather, it is a pleasure. Throughout her life, Jane has been forced into seclusion, whether by her Aunt Reed, Brocklehurst and the girls, or the small town that shunned her when she had nothing. Yet, Jane never despaired in her seclusion. At Lowood, for example, she said, “I stood lonely enough: but to that feeling of isolation I was accustomed; it did not oppress me much” (Chapter 5). Indeed, Jane finds at the end of her tale exactly what she had been looking for, a place to be herself, without scrutiny, and with a man whom she equaled and could therefore love. All of this is accomplished due to her strength of character, her individuality. Charlotte Brontë’s Jane Eyre can certainly be read as a feminist novel. Jane is a woman coming into her own, choosing her own path and finding her own destiny, without stipulation. Brontë gives Jane all that she needs to succeed: a strong sense of self, intelligence, determination and, finally, wealth. The impediments that Jane encounters along the way, such as her suffocating aunt, the three male oppressors (Brocklehurst, St. John, and Rochester), and her destitution, are met head-on, and overcome. In the end, Jane is the only character allowed real choice. She is the woman, built up from nothing, who gains all she wants in life, little though it seems. In Jane, Brontë successfully created a feminist character who broke barriers in social standards, but who did it so subtly that critics can still debate whether or not it happened. Bronte, Charlotte. Jane Eyre (1847). New York: New American Library, 1997.